It doesn’t take much effort to find some truly terrible stories about a family getting ripped off by a home improvement professional. When you add mobile homes into the equation it gets even easier to find horror stories. This article, How to Hire Mobile Home Contractors Without Getting Ripped Off, will help you learn how to find a reputable contractor (or plumber, roofer, electrician, etc. ), how to get a fair price, and how to protect yourself from getting ripped off. To truly know how to hire mobile home contractors without getting ripped off we need to cover a huge issue that most of us will face: finding a professional willing to work on a mobile or manufactured home is difficult. There simply isn’t a lot of licensed professionals (plumbers, contractors, electricians, etc.) that will work on factory-built homes. I’ve received so many emails and comments from homeowners stating they can’t find anyone willing to work on their mobile homes and because the hiring pool is so small from the get-go that it makes the entire process more complicated and time-consuming. It is one of the biggest disadvantages to owning a mobile or manufactured home. Why Do Contractors Hate Mobile Homes So Much? Poverty stereotype: The mobile home stereotype is alive and well, unfortunately. Many people associate mobile homes with poverty or at the least, lower income levels. Contractors would rather work on more expensive homes because they think they can get more money from them than us lowly mobile home owners. 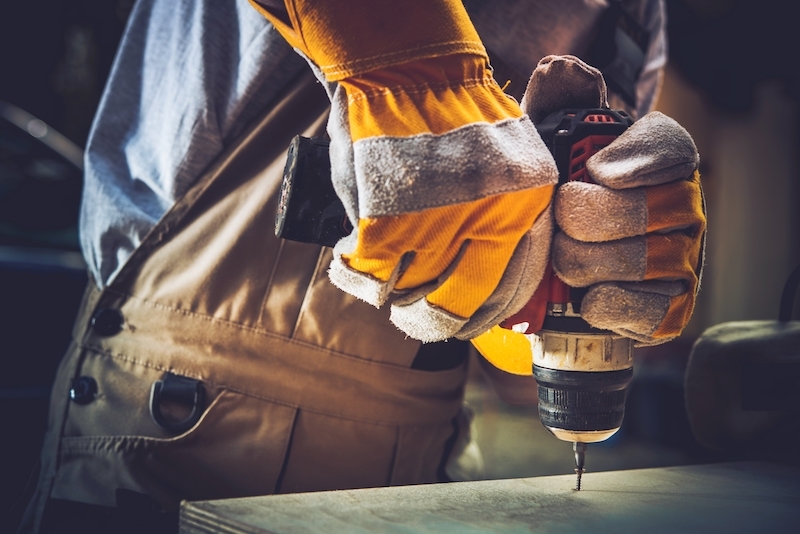 Mobile home construction: There is a misconception within the construction industry that all mobile and manufactured homes are hard to work on. For example, a professional remembers working on a 1963 single wide that was poorly built. That professional tells all his associates about the one terrible experience he had working on a mobile home 30 years ago. That one bad experience ends up influencing dozens of construction professionals that automatically assume all mobile homes will be like that. It’s odd, though, because I’ve helped my husband, a licensed master plumber, work on all types of homes and businesses. With mobile homes, you pretty much always know where the pipes and wires are and you will have a decent crawl space. I’ll take a plumbing problem in a mobile home over a slab house any day! IMPORTANT: Never hire anyone that knocks on your door out of the blue, especially if it is after a natural disaster. Mobile home owners are a prime target for home improvement scams and schemes but you don’t have to be one of those stories. Follow these tips to hire mobile home contractors without getting ripped off. One of the smartest moves you can make is to locate professionals before you need them. It gives you more time to interview without being in a rush. So, where can you find reputable construction professionals that will work on your mobile home? Rachel says that the community announcement boards in many mobile home communities, where residents and local businesses can post flyers or special announcements (i.e. garage sale, for sale, etc. ), is another good resource for reputable mobile home contractors. She told us she had found flyers and business cards of people who specialize in mobile home repair work that ended up being reputable. Rachel told us that some of the advertisers were full-time businesses while others were individuals that just do jobs on the side when they are not working. Some may even be park residents. In fact, she found her ‘main handyman’ this way. Just by reading the board, she decided to contact him and found out mobile homes was his specialty. Local mobile home dealers are always a good source to find reputable home improvement contractors. Since they sell manufactured homes, dealers have to make arrangements with local contractors for moving, installing and set-up of mobile homes on a regular basis so they have contacts for electricians, plumbers and heating, ventilation and air conditioning (HVAC) contractors. Talking with neighbors and park residents is a great way to find reputable contractors. If you see a service van in the driveway or you know a neighbor that has had a recent project, ask them about it. Not only is it a great way to hire contractors for your manufactured home and meet your neighbors. Win-win! The first contact is such an important part of hiring mobile home contractors without getting ripped off. it sets the stage for the entire relationship. You want to appear professional and knowledgeable of the situation. Before you make the first contact via phone call or email, you want to investigate online. Look at your states licensing boards and BBB. Type in the company or individual’s name along with the word ‘complaint’ in your Google Search bar. If you see excessive complaints of BBB issues, move on. When you first contact a contractor over the phone, tell them about your project or issue and ask if they provide free estimates. You must ask for their information and actually check that they are current. If you are licensed, were you grandfathered in or did you actually take the exam? This is important. In a lot of states, they changed the laws requiring anyone working construction to have a license. These licenses usually come in three levels: Apprentice for the newbies, Journeyman for the experienced, and master for those that are most experienced and most knowledgeable of their trade. However, if your state was anything like WV, the law allowed for a 2 year time period for those already working in the industry to pay $75 and fill out a form promising they had the proper qualifications for whichever license they wanted. They gave out the master licenses without merit to thousands because there weren’t enough state workers to review the applications. SC, NC, and GA appear to have had similar issues. You want the candidate that took the exam. Do you have employees or use subcontractors? How many jobs do you have going on right now? Do you have all the tools and supplies you need to complete the job? How many complaints have you received? What are the payment arrangements? Is there a discount for paying cash? There are a ton more questions. Ask the Builder has a list of 50 questions here. Depending on the scope of the job, you may want to ask them all. Promptness is a good indicator of professionalism. If the candidate is late, without notice, you can probably expect that behavior throughout the job. When they arrive, tell them a bit about the project or issue. If they have to check a system (i.e. plumbing, HVAC, etc. ), let them perform their diagnostic but be careful that they don’t remove anything until the contract is signed for service. After their evaluation, they should be able to determine the problem and offer solutions. Most good contractors will give you a couple of suggestions including the most cost-effective, middle-of-the-road, and most expensive routes to take. A lot of people hire the first person that they meet – don’t be that person. Spending another day or so to find the right professional will make the entire process easier and safer. Rachel recommends that you get multiple estimates before you make a decision. She suggests getting at least three good estimates. When receiving estimates, you can tell other contractors what came in which may help in negotiating price. She states, “Regarding the estimate, some contractors will give you one right on the spot. Make sure you get it in writing. If you have multiple jobs, get a line by line estimate for each item you discuss. This way you can choose what you want and don’t want to do. Be wary of contractors who give you one full-blown estimate for multiple jobs. “Each job should be itemized with a definite timeline for completion. Sometimes contractors may need to go back and confirm prices on materials and labor so getting an estimate in a couple of days is OK. Usually, they can either e-mail, fax, or come back with the estimate. Remember, get a few estimates before you make your decision. Many times, you can talk to one contractor about one option and then another one comes by with another option. “Once the contractors keep telling you the same thing, that’s when you know you’re contacting the right people. The issues should be uniform. No one knows how to do everything. This goes for contractors as well. Be wary of those who say they can do all types of jobs. If someone tells you they can do painting, plumbing, roofing, HVAC work — be cautious. A good contractor should tell you what they can and cannot do. In most states, a plumber cannot work on your wiring – each professional must be licensed in their area of expertise as stated above. The exception is when you are hiring a general contractor. General contractors act like a manager and have access to all the licensed professionals you will need. Usually, general contractors will hire subcontractors and supervise. The Washington Department of Labor and Industries released a very thorough pamphlet called the Hire Smart Worksheet. It has a form to keep track of your bids and how to investigate the candidate online. Please download it here and print it out. Once you’ve made a decision to hire contractors for your mobile home, you’ll have to make payment arrangements. This can be done in several ways. For smaller jobs, like a quick part replacement on a furnace, most contractors will take payment upon completion. Inquire about payment methods upfront as it will save you time and money. If you’re working with a smaller company, they may only be set up to take cash or check and not credit cards. For larger jobs, you may be required to put a small down payment to cover materials and upfront labor costs. One of the most popular payment options is the 1/3 plan. You pay 1/3 of the total estimated cost of the entire job to get started. You pay another 1/3 at the midpoint of the job as long as everything is to your satisfaction and then you pay the final 1/3 after completion. Never pay a contractor the full amount upfront (I don’t care how small the job)! Another option is to pay for the labor and provide the materials yourself. If you leave the materials to the contractor you will have to pay a markup of at least 10%. Buying your own materials and just paying for labor is a popular option for handyman type repairs (i.e. painting, installing a piece of drywall, etc.). The downside of this method is that you have to take the time to research, purchase, and transport the materials to your home. Once the job is complete, be sure to inspect the contractor’s work. Make sure everything you agreed to has been done. If there are any issues, bring them up. Remember, you agreed to a specific standard of work. Be sure to hold the contractor up to that standard. If for some reason you are unhappy with the job, talk to the contractor. See what can be done to fix the issue. Good contractors will listen to you and correct the situation. Bad ones will not. Hopefully, you hired the right contractor in the first place. Hiring home improvement professionals is always a hit or miss – it’s just the nature of the industry, I suppose. When it comes to remodeling or repairing an older mobile home or manufactured home it is especially hard to find a reputable contractor. Use the suggestions and tools above to hire mobile home contractors without getting ripped off. Rachel states that learning how to hire mobile home contractors without getting ripped off is more of an art than an exact science. She says, “By putting in the time to interview contractors and asking the right questions, you will gain experience and knowledge. Though it may be a long process, this habit will save you both time and money in the long run”. I appreciate Rachel Hernandez’s help in writing this article. She has spent several years as a landlord before taking the leap to specialize in mobile home investing. She is known as Mobile Home Gurl and writes and produces videos regularly about her stories and adventures in mobile home investing. She is the author of the book, Adventures in Mobile Homes: How I Got Started in Mobile Home Investing and How You Can Too! Hi! Found your site while trying to figure out which manufactured home dealers build the best double-wides. We had a Palm Harbour (mid to high price range) 19 years ago before we moved to a slab house which turned out to have been a rebuild following a fire and was mostly subbed out with a host of problems. I loved my Palm Harbour but unfortunately they were booted out of Georgia many years ago. The cost to purchase and move one from Florida would be crazy so I am trying to find something very well made and reputable in Georgia. We have seen some nice looking homes made by Scotbilt, but they have mixed reviews. Even with that, they still to all appearances, look like they are made with better quality than the majority. The main problem with complaints against them seem to be customer service related for the most part. Are you familiar with Georgia manufactured homes? Do you recommend any specic brands and/or can you tell us how to select a great company? We are prepared to spend up to $100,000 to $125,000 for a customized double-wide. We would love to get “all the bells and whistles” as we intend for this to be our final home and it needs to be one we can customize to allow for ease of mobility for me in case I ever have to start using a wheelchair, etc. Sorry this is so long, but we really would appreciate any advice you can offer. I’m jealous! You get to pick out a brand new home! I think looking at all the homes online is fun! I’m not familiar with Georgia but you can go to manufacturedhomes.com and click on Georgia to see all the dealers around you. How can you determine if you should trash a mobile home or do a total renovation? Have a single wide 1981 MH 624 SQ FT and trying to determine if I should gut and redo or trash. There has been water damage to floors from 2 leaky faucets. If the repairs are going to cost more than the home is worth you’re going to want to be careful. Subflooring replacement is a very common mobile home repair so don’t let that intimidate you. If the joists under the subfloor are damaged then you may need to spend more than its worth. I’m grateful for your advice that we shouldn’t hire someone who just arrived and knocked on our door out of nowhere. With this idea, you have my two big, huge thumbs up! Why? Because I believe that a well-experienced and trusted contractor won’t do that as they’ll just wait for the clients to contact them!